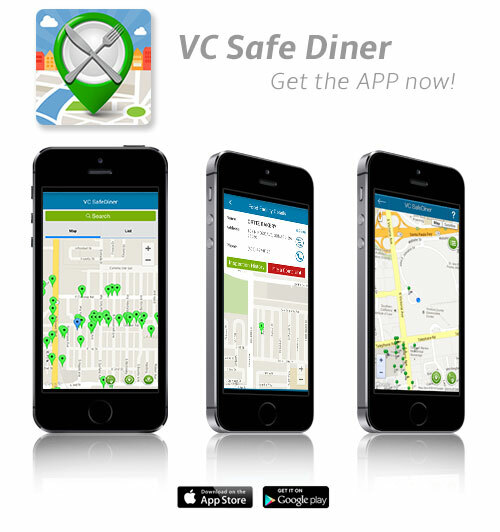 VC SafeDiner is a quick and easy way to view the latest inspection results for your favorite food facility in Ventura County. The app allows you to search by name, address or city; and also provides a map feature allowing you to view food facilities within a radius of your current location. Full inspection results for the last year are displayed including recorded violations and inspector comments. VC SafeBeaches is a quick and easy way to view the latest ocean water quality testing results for your favorite beaches in Ventura County. The app allows you to search Ventura County beaches by name or map location, and you can customize your app to list just your favorite beaches. You can also view any current beach advisories, and learn about the State ocean water quality standards for which Ventura County beaches are monitored. Be informed, be safe with VC SafeBeaches!